(Right) Mr. and Mrs. James Cagney (Left) Mr. and Mrs. Robert Montgomery attend the World Premier of Warner Bros. new musical film YANKEE DOODLE DANDY. The move, which depicts the life of George W. Cohan, played to a full house representing a ticket sale of $5,750,000 in War Bonds. I love James Lileks' writing style, topics and read his stuff daily. He blogged the other day on a topic that piqued my film still interests: photos from Citizen Kane (you may have heard of it) in the Minneapolis Star Tribune archives. They're of my favorite scene and shots I've never seen before. Do check it out. 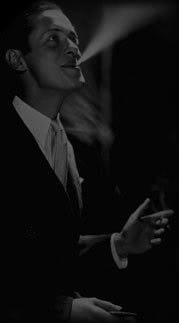 I've featured Life magazine's photos on Robert Montgomery before, but now full Life issues are available on Google. This first finding is from Life's April 19, 1954 issue. This particular article talks about Bob's coaching of President Eisenhower for television. Life after Hollywood, that's for sure. 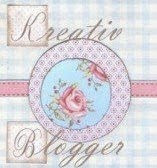 Spreading like wildfire is another award to the blogosphere: the Kreativ Blogger award. Yeah, yeah, I know some people get real crabby over them and don't want to contribute, etc. Me? I think it's a great way to learn about folks and find new blogs. I just added two new sites to the daily view list here myself. OK, and who created the logo? We need more style than a quilt here! So with that . . . many thanks to C.K. Dexter Haven at Hollywood Dreamland for the award! 1.) I have a ham radio license. 2.) I've never watched more than five minutes of Casablanca, Gone With the Wind, Rebel Without a Cause, or Breakfast at Tiffany's. See a pattern? 3.) Would love to own a very, very black Corvette someday. 5.) There are currently five different types of vodka in the house at this time. Kids, move on to number 6. 6.) I absolutely hated high school. 7.) I love Groucho Marx in You Bet Your Life - I watch it weekly (yep, it's on around here). I leave an open invitation out there to other bloggers to share with us (that's a cheap way of saying most of the sites I read have already been awarded). I almost forgot to note: TCM's April Star of the Month, for a second time, will be Robert Taylor. I guess repeats aren't all that bad. Be prepared to burn out your DVR each Tuesday in April - they're digging out over 60 films. Which leads me to this comment, which reminded me of Taylor: Party Girl. Quite possibly one of the most annoying films I've watched 30 minutes of in a while. Just me? Probably. Watch it again sometime? Yup, I'm like that. After four years of combat service in South Pacific and European war zones, Lieutenant Commander Robert Montgomery has been placed on the Navy’s inactive duty list and is resuming his screen career. First day he doffed his uniform for civilian clothes, Montgomery visited Metro-Goldwyn-Mayer. He spent the afternoon at his home renewing friendships, conferring with department heads, and preparing for his starring role in “They Were Expendable”, a picturization of W.L. White’s best seller. In his dressing room, Montgomery catches up on some vital personal correspondence. Two weeks after his return to films, Navy awarded the actor the bronze star for meritorious service during combat duty.